This is for the new challenge by The Craft Barn - The Twelve Month Challenge, based on Sarah Coleridge's poem, The Months. 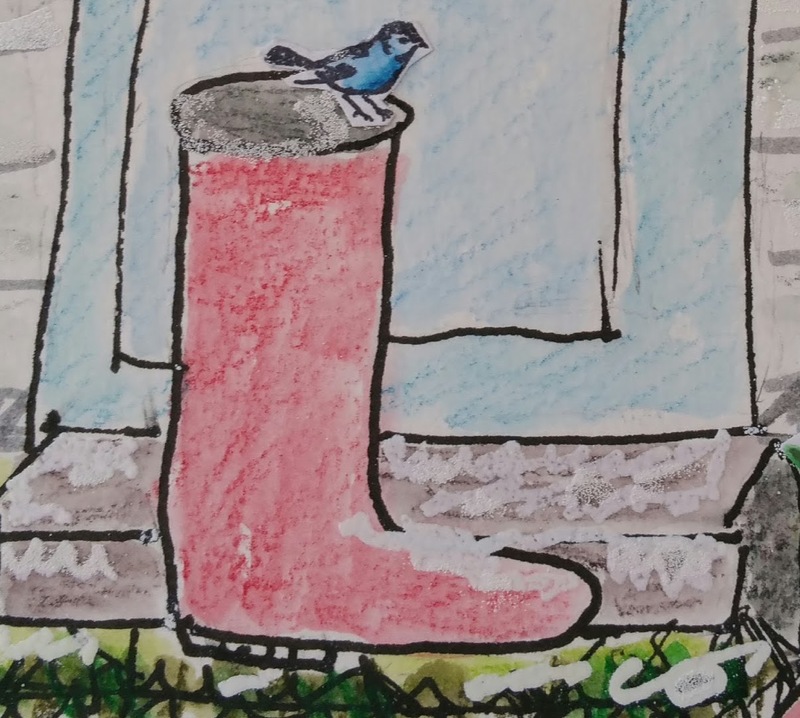 The piece had to have the lines from the poem for the month and the given images - this time, a bird in a wellie/gumboot. Being in the southern hemisphere, the opposite seasons are always a bit of an issue for me but I added a little snow with an embossing pen and white embossing powder. Maybe there would not be bluebirds and flowers int his season, but we do have flowering plants all year. 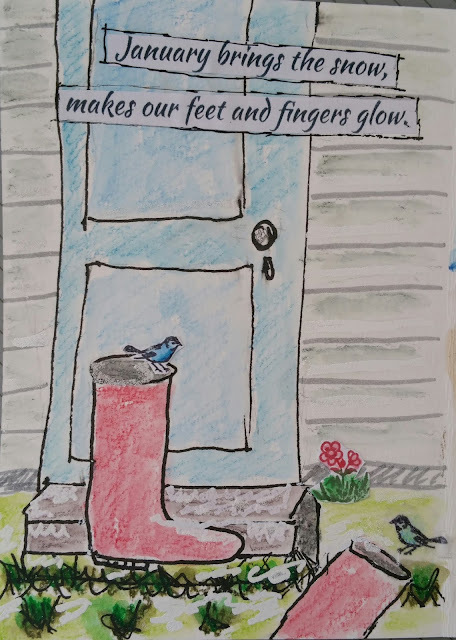 I have decided to create a small book with a two page spread for each month and change the poem to match the season here. Let's hope I can keep it up! I used my Derwent Inktense pencils and blocks to colour both these images. The little boy in the summer version if from Crafty Individuals. 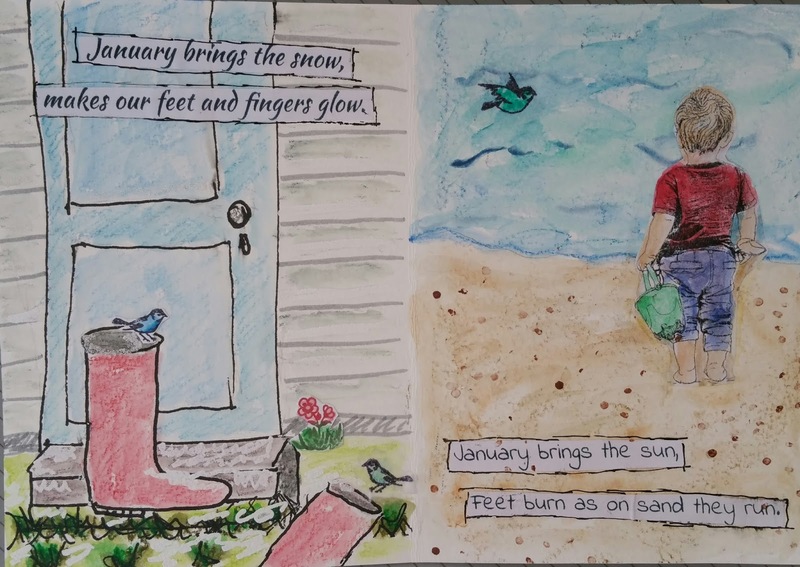 So here is the double spread and my Summer version of the prompt. Love your idea to do a southern hemisphere version too. Your new lines made me smile!! What a fabulous idea. I love the sketchy drawing of the door and birds on wellies and the January in the sun verse is inspired. Great work! A clever idea to do northern and southern hemishere versions. 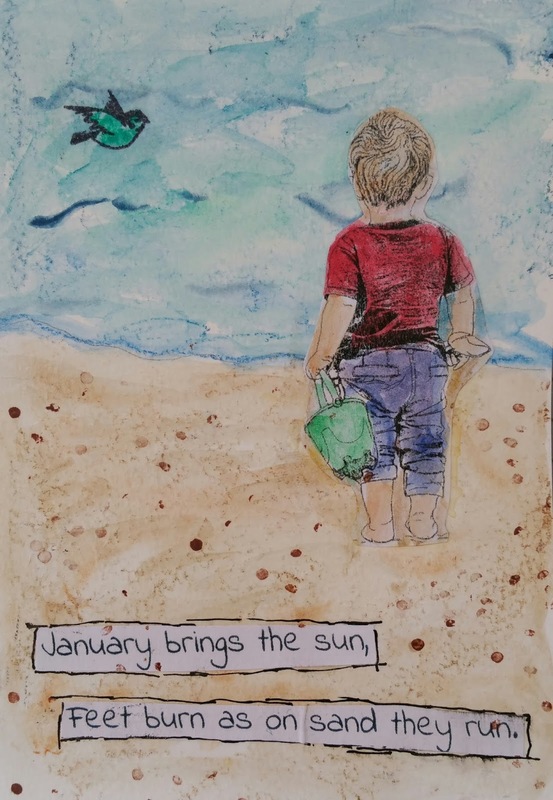 Two great pages and I love the sky on the beach page.